Come on down and play Qigong and Tai Chi with us. Current focus is on Eight Brocades and 5 Earth Element Qigong along with a three part Qigong / Tai Chi mix form. We practice breathing / stretching for warm up and cool down each evening. Location: 254A Mountain Avenue, Suite 2A, Hackettstown, NJ – The studio is in the complex across from the Lowes Plaza on Mountain Avenue. The first building and on the second floor. 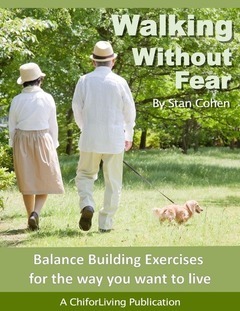 Come on down and join us for some balance – leg strength exercise, Tai Chi and Qigong practice. These classes entail a strong focus building on timing and coordination skills for Tai Chi and Qigong movement. This is a balance range of motion class focuses on building leg strength and range of motion exercise . The exercises incorporate the slow controlled Tai Chi style movement. It is a wonderful gentle weight bearing exercise and which utilizes controlled breathing to enhance your oxygen intake. We also perform some Qigong style exercise to wind up the sessions. Take Route 513 East from the center of Long Valley. just 3 miles from the stone bridge on the right side of the road. Come on down and join us for some balance – leg strength exercise, Tai Chi for Arthritis and Qigong basics practice. These classes entail a strong focus building on balance, timing and coordination skills for Tai Chi and Qigong movement. Check the Warren County site for days, times and directions by clicking here. I teach at the Washington, Hackettstown and Phillipsburg locations. Is there tai chi at Church of the Messiah today? As far as I know. I suggest calling them later to make sure.